Being Frugal and Making It Work: February #LoveMe Challenge: Day 10! Secrets! We all have them, but some are more extreme than others. Many women like to keep their age a secret - that is one secret that I have never kept, people knowing how old I am is fine with me! 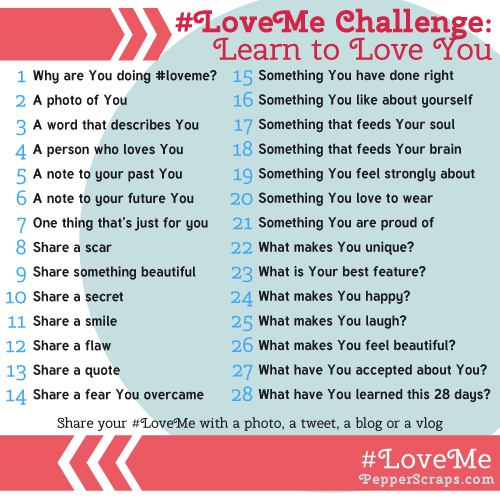 Day 10 in the #LoveMe Challenge is to share a secret. This one has proven to be the most difficult prompt in this challenge for me so far. A secret? There are lots of reasons to keep something a secret. Maybe it would be embarrassing, for you or someone else. Maybe you'll ruin a surprise. The #LoveMe is a challenge to love yourself. Everyday there will be a prompt for you to look at yourself, embrace who you are, and hopefully help you learn that you are beautiful, you are amazing and you need to love who you are!